86 Indiana Quilt Shops to tempt you! 86 shops to inspire your creativity! Our current list of Indiana quilt shops is below, shown in alphabetical order by location. If your favorite isn't listed, just let me know using the 'Add or correct a quilt shop' form and I'll get it added pronto! Need a block for a guild exchange? Consider the Indiana Puzzle shown above. You'll find instructions here for three different block sizes—6", 9" and 12" finished. Always call ahead to confirm an Indiana quilt shop's hours of business. Inclement weather, holidays or even a fabulous sale can all have an effect. And these days, your quilting time is much too valuable and gasoline is much too expensive to make a trip only to find the store is closed for the day. 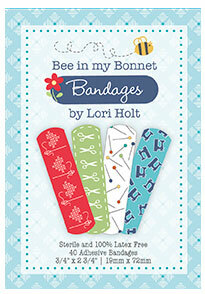 Just for Indiana fabric lovers! 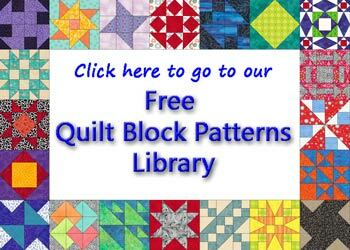 If I've missed any of your favorite Indiana quilt shops or you see something that needs fixing, click here to let me know. I'll take care of the rest! Use our list of Indiana Quilt Guilds to find a guild or add one to our online database. Is your Guild listed here? Find inspiration! 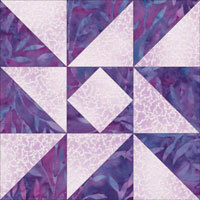 Check out our Quilt Designs 101.